A shiny appearance; appears wet; impressive looking. 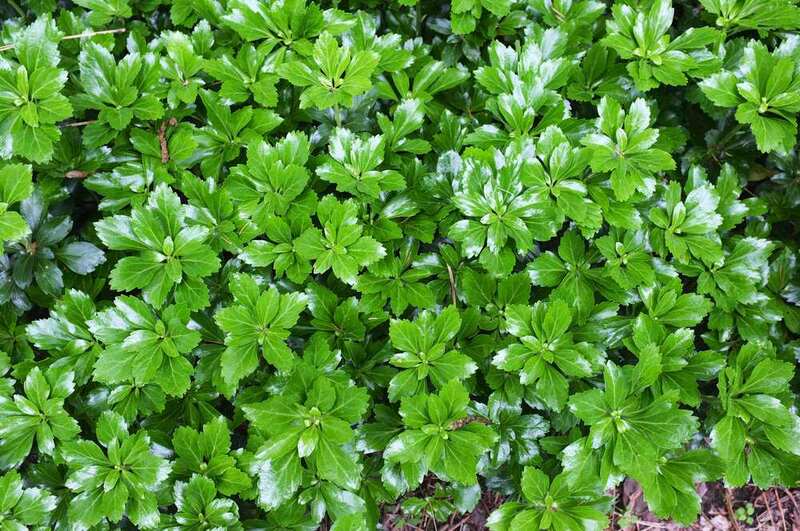 Specific; Pachysandra, Green Sheen or Pachysandra terminalis Green Sheen is part of the Japanese Spurges family. Japanese Spurges are evergreen all year and self-sustaining. 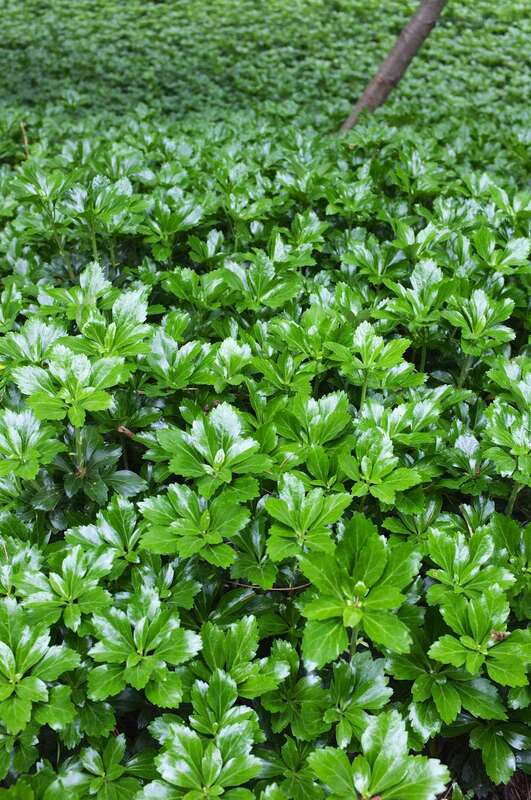 What makes the Green Sheen Pachysandra different from its relatives is the tremendous glossiness of its foliage. When you first encounter the plant it almost looks plastic or fake. The sheen is so impressive you think it can't be real. 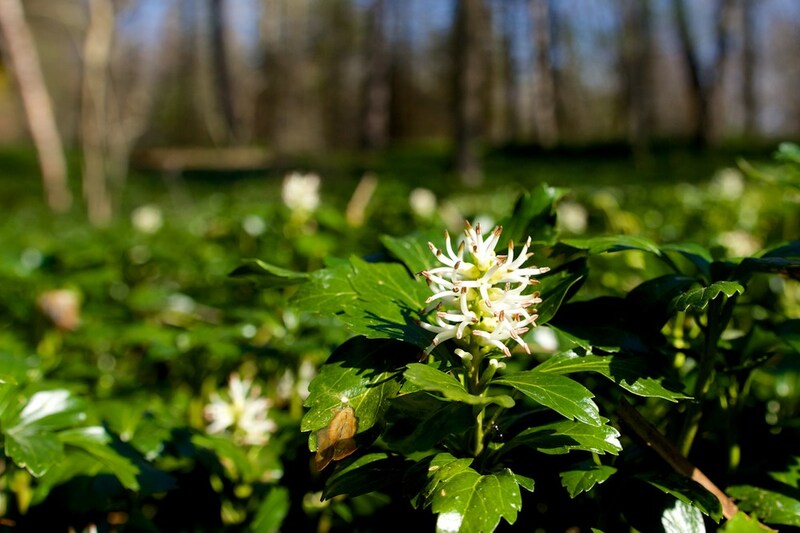 Once you have seen a Green Sheen Pachysandra you will never mistake it for other cultivars. It has fragrant white flowers that appear briefly in April and are followed by a second-story layering of fresh, spring-green leaves. 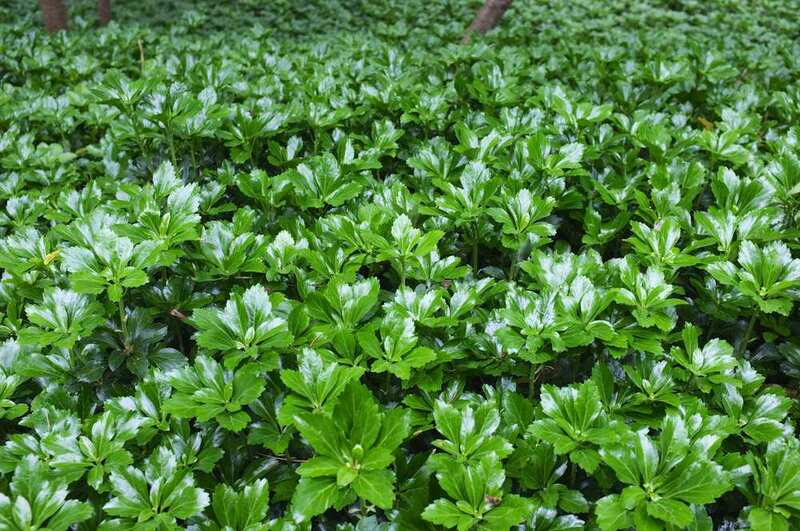 General; Once established, a Pachysandra planting will eliminate grass cutting and weeding. Your lawn work stops where this plant starts. This plant is used extensively under large spreading trees, back of buildings or in other situations too shady for grass to grow. It is self-sustaining and always looks good. 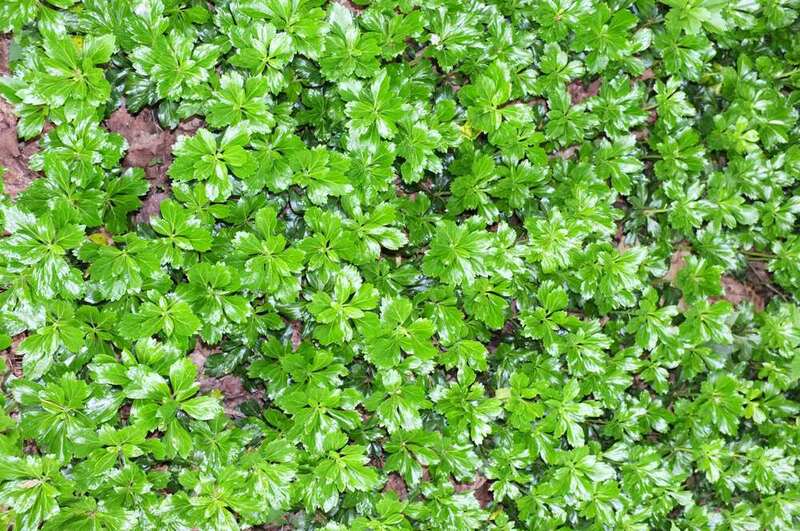 It is an excellent ground cover for problem areas as it grows in just about any soil and is one of the few ground covers that will grow under pine trees. 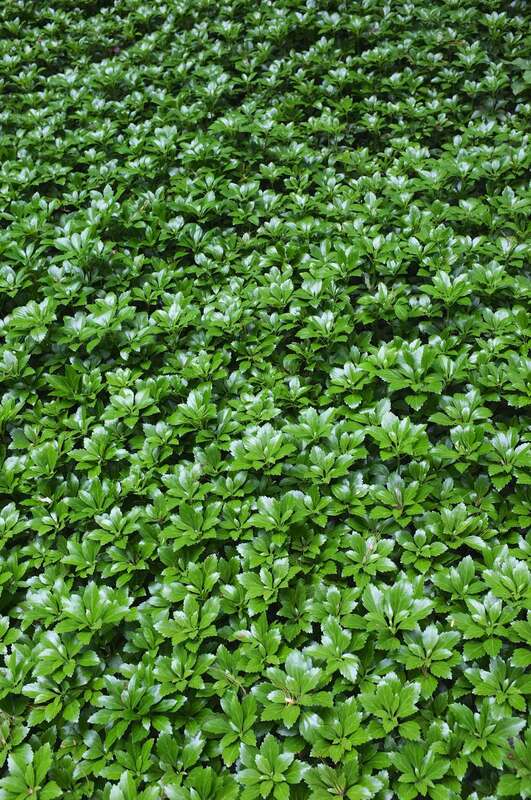 Pachysandra will transform otherwise bare and ugly ground areas into attractive year-round cover. It is also very effective as a border plant along paths or driveway edgings and can be used as a lawn substitute in shaded non-traffic areas. It works very nicely in the front of shaded borders or as filler between larger shrubs. 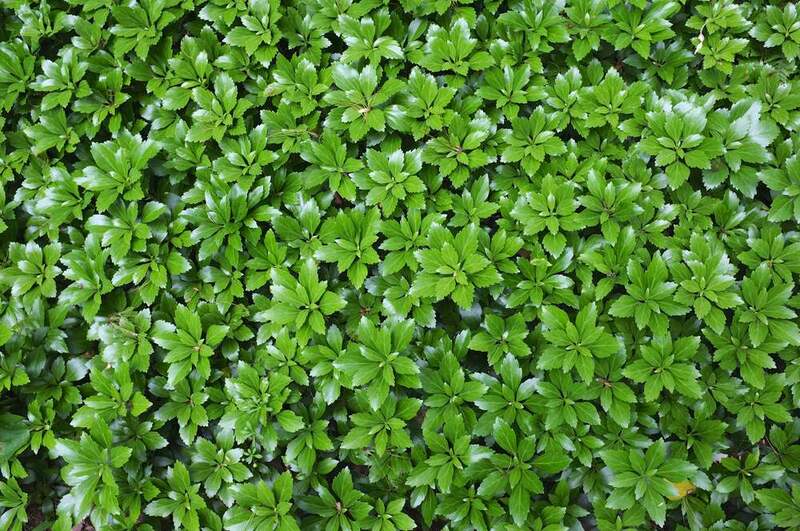 Dense enough to keep down weeds, it is a great solution for dark parts of the garden, where other plants fear to tread. It is extremely hardy, and fragrant. 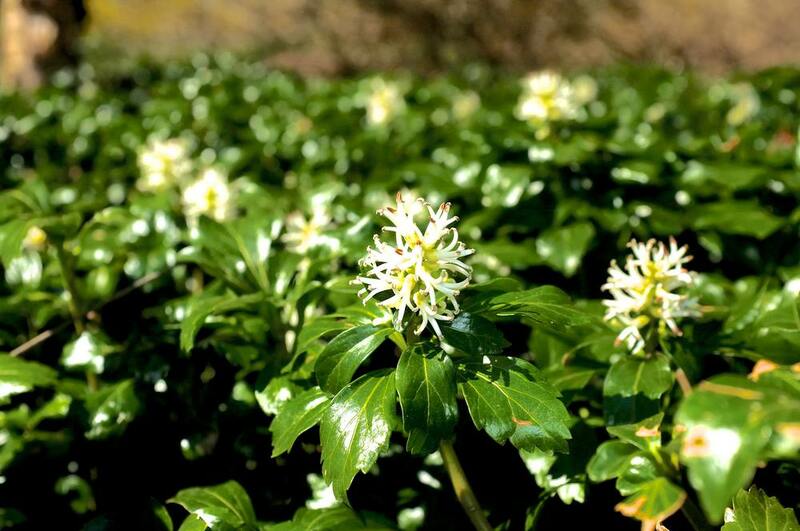 Please note that Pachysandra often takes most of the first season getting established, spreading will tend to be extremely slow the first season and will commence the second season. It tolerates some sun in northern zones, but needs shade in southern zones. Mature height 6" - 12", spacing 4" - 8". Your ground conditions and phosphate levels will determine the plants ability to maintain it's color and appearance. You can purchase additional triple phosphate (0460) from any regular nursery or plant center. A 5 Lbs bag should last you a couple of seasons depending on how many plants you have. You would apply the the phosphate in the Fall, about one month before the plants go dormant, to maintain its color and appearance. Please call 845-223-3801 or shop here and place your order today! 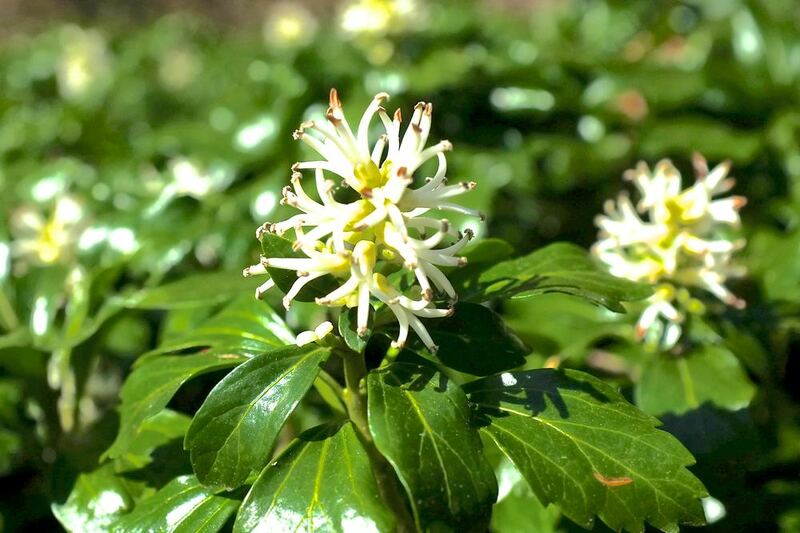 We sell Pachysandra in five different varieties and offer FREE shipping nationwide for orders over 200 Pachysandra plants. All plants are priced at $0.60 a piece except for Common Pachysandra that is priced at $0.50 a piece.